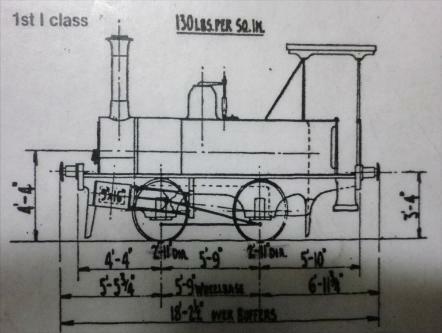 Jock Miller's recreation of Canterbury Railway's No 9 0-4-0 in 7 1/4" gauge. No 9 was a small four-coupled tank locomotive built by Neilson and Co, Glasgow in 1873. It was designed to replace horses on the rather light wharves at Lyttelton. 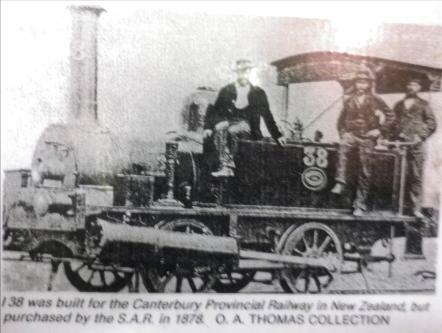 At the time the Christchurch to Lyttelton railway was 5' 3" gauge. The Government had already decided to standardise New Zealand's rail gauge at 3' 6" but some broad gauge locomotives continued to arrive. After unloading and assembly, No 9 made a trip from Christchurch to Rangiora and back on 10 March 1874. 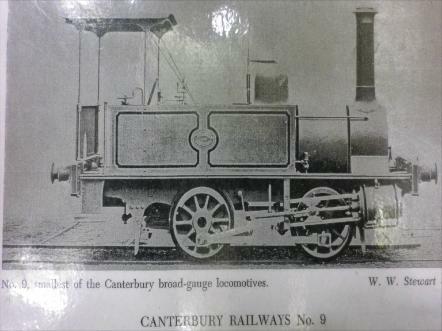 According to the Press report the following day "the engine was driven by the running foreman, Mr Dickinson, and the result was most satisfactory". On 10 December 1874, No 9 was involved in a collision which resulted in a tightening up of safe working methods through the Lyttelton tunnel. No 9, driven by a A. Blackmore, had drawn a rake of wagons into the tunnel and was about to reverse into the goods yard when it was rammed by a special goods train from Christchurch hauled by locomotive No 2. Both locomotives were considerably damaged. Eventually No 9 was overtaken by the move to 3' 6" gauge and was sold to South Australia Railway and went to Adelaide. However its journey was not plain sailing. It was loaded on the Hyderabad but this vessel was wrecked off Waitarere Beach. Eventually No 9 was salvaged (no mean feat and an interesting story in itself) and completed her journey finally entering service in Adelaide in 1879. Cylinders - 2 outside the frame. Bore and stroke 9" x 16"
Driving wheel diameter - 2' 11"
Jock's project is unusual in the scarcity on information available but Jock is determined to produce an authentic representation. 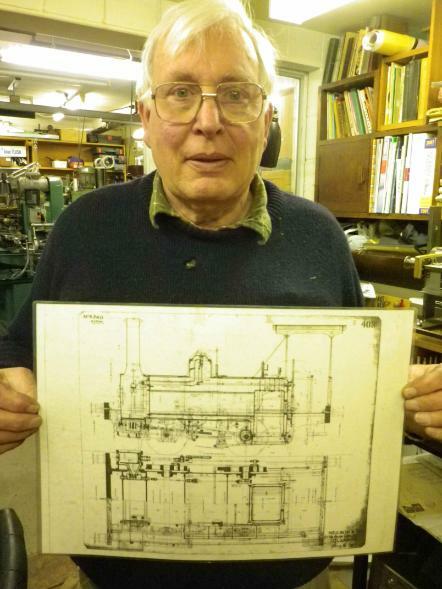 Jock has managed to find some GA drawings and plans and pictures of similar locomotives from the same period. The pictures below show that Jock does not have much to work with but the results are looking fantastic.